Saunas have long been a popular choice for people interested in natural health – and are a great way to unwind and relax. Regularly spending time in the heat has been shown to have a myriad of health benefits, including weight loss, improved circulation and stress relief. 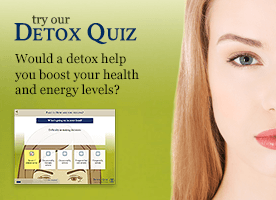 Most recently natural health advocates have focused on their potential to help us detox. Saunas act directly on the skin. The skin is the major eliminative organ for the body, but for a variety of reasons many people’s skin may not be functioning optimally in this way. For example, we use anti-perspirants to block sweat and we wear clothing that doesn’t not allow skin to breath. We live sedentary lives that mean we don’t sweat regularly and we also expose our skin to a multitude of chemicals from lotions and soaps to deodorants to cleaning solvents, detergent residues and chemicals in the water supply – all of which affect skin health. 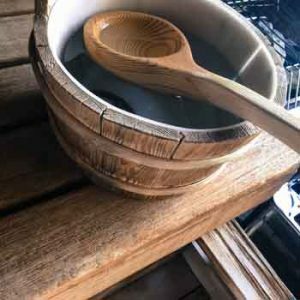 Regular use of the sauna can help encourage the skin to carry out its natural eliminatory functions and studies have shown that a regular sauna can help eliminate toxins such as PCBs, metals and poisons from the body. If you suffer from sinus problems a sauna may just be your best friend because the heat will open up nasal passages and help them drain. Whatever your reason for being interested in saunas, here’s some things you should know. In a typical Western sauna the air temperatures averages around 70-90°C (158–194°F); but in a traditional Finnish Sauna this can sometimes go as high as 100°C (212°F) in a traditional Finnish sauna. The relative humidity in a sauna varies depending on the type of sauna. Turkish-style saunas, for instance, are steamy so the air is very moist. Finnish saunas are essentially a dry heat, but the air can be humidified by pouring water over hot rocks or bricks. Wood burning Wood is used to heat the sauna room and sauna rocks. This type of sauna is the closest to a traditional Finnish sauna. Wood is used to heat the sauna rocks and the sauna room. Water poured over the hot rocks from time to time helps keep the sauna air from being over dry. This is a high temperature sauna that may prove challenging if you are not used to it or are weak or ill.
Electrically heated Similar to wood-burning saunas, electrically-heated saunas have high temperatures and low humidity. They use an electrical heater, which is attached to the floor to heat the sauna room. Far infrared room Not a traditional sauna but more a type of heat therapy in which special lamps emit light waves that heat a person’s body, not the entire room. The sauna room still gets warm, but temperatures are typically lower than other saunas. Usually, infrared saunas are about 60°C. Advocates believe that the deep penetration of the infrared energy stimulates the cells to eliminate waste more efficiently. Steam room Steam rooms are not traditional saunas but are still sometimes referred to as a sauna because of similar effects. Instead of using dry heat, a steam room involves high humidity and moist heat. Regardless of how a sauna is heated or the humidity level, the effects on the body are similar. When a person sits in a sauna, their heart rate increases and blood vessels widen. This increases circulation. The effects on the body from sauna use may have some potential health benefits. For instance, increased circulation may help reduce muscle soreness, improve joint movement, and ease arthritis pain. The heat in a sauna may also promote relaxation, which can improve feelings of well-being. A potential health benefit from sauna use may be a reduced risk of death from cardiovascular disease. One study conducted in Finland followed 2,315 men ages 42 to 60 over the course of 20 years and found that the more often a man had a sauna the less likely he was to experience premature death from cardiac failure. Those who used the sauna two to three times a week experienced sudden cardiac death 22% less than those who only used it once a week. The results were even greater for men who used a sauna more often. Those who used a sauna four or more times a week experienced sudden cardiac death 63 percent less often than those who only used a sauna once a week. Other studies have shown that regular sauna bathing may benefit people with risk factors for heart disease, such as high cholesterol, high blood pressure, and diabetes. There is also evidence that saunas can help boost immunity with some researchers finding that they can help reduce the incidence of colds. Although not strictly a ‘sauna’, one review from Canada found evidence supporting the use of infrared sauna treatments for normalising blood pressure and cholesterol levels, treating congestive heart failure, and helping with chronic pain. Researchers from the Netherlands found that infrared sauna treatments can help reverse chronic pain with little to no side effects. Because of its lower level of heat far infrared therapy may be well suited to those who are weak or convalescing. It is likely that saunas benefit health in several different ways. For instance, sitting in a sauna may have cardiovascular effects similar to moderate exercise. Heart rate can increase to 150 beats a minute while using a sauna and when the heart rate increases, it pumps more blood to the body. Circulation increases in a similar way to the effects of exercise. Sauna use may also improve the function of cells in the heart. Cells that line the arteries play a role in the amount of blood that flows to the heart. Improving the function of these cells may also boost heart function. The effects of lowering stress levels when using a sauna may also help reduce physical symptoms in the body. Use the sauna with supervision if you have a chronic condition. Saunas are generally safe and likely beneficial for people with mild heart failure, but may not be so hot for those with unstable angina or a recent heart attack. Those with multiple, sclerosis, hyperthyroidism, hypotension or hypertension or very serious heart conditions should consult a health professional. Pregnant women are also advised to seek advice before using a sauna. After your sauna take a shower – warm or cool but not hot. Avoid using soap if possible as you will be clean. Try instead using a skin brush or loofah to wash of sweat. Skin brushing enhances the cleansing effect of the sauna. Don’t forget also to create and maintain a positive environment. Stay happy and bright regardless of what others may say or do – and enjoy your sauna! Q&A: What are the benefits of skin brushing?